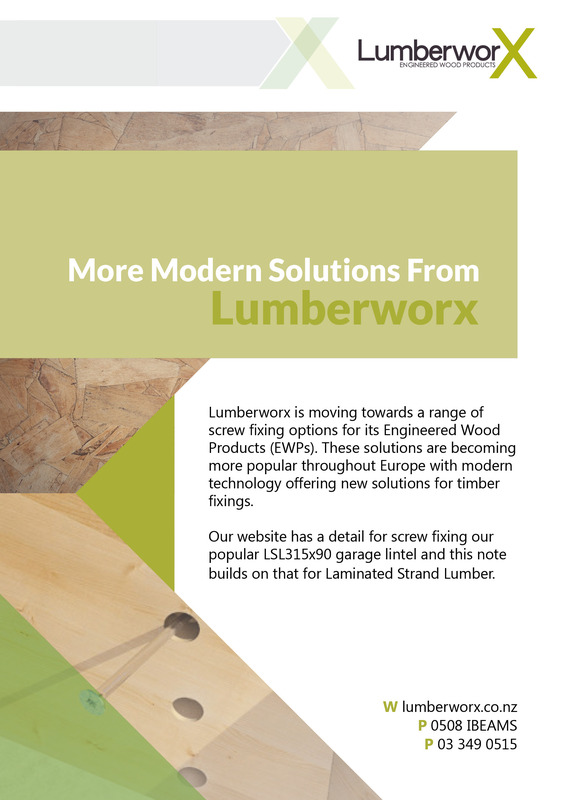 Lumberworx is moving towards a range of screw fixing options for its Engineered Wood Products (EWPs). These solutions are becoming more popular throughout Europe with modern technology offering new solutions for timber fixings. This four page booklet outlines screw fixing of EWP. Please call our friendly team if you have any questions or would like to go over it further.